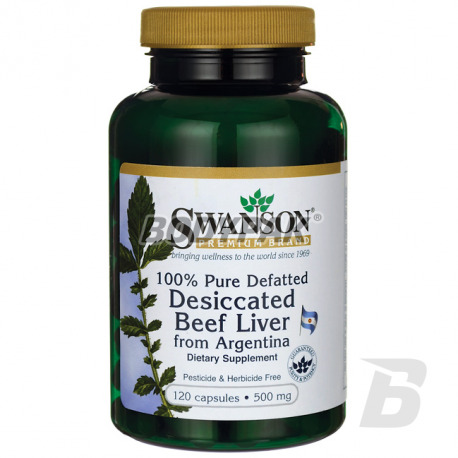 Health & BeautySwanson 100% Pure Defatted Desiccated Beef Liver from Argentina 500mg - 120 kaps. 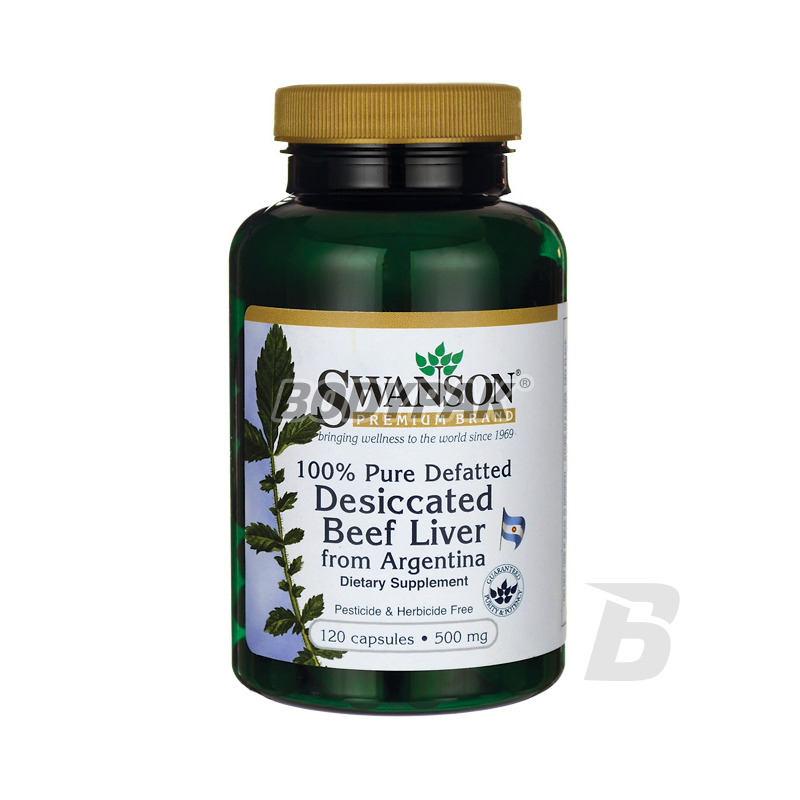 Swanson 100% Pure Defatted Desiccated Beef Liver from Argentina 500mg - 120 kaps. Argentinean beef is considered the best in the world because of its quality and taste and purity. Dietary supplement Beef Liver is an excellent source of B12, folic acid, choline and selenium, as well as protein and amino acids.